Years of politics and decision making echoes through the walls of Old Parliament House. Allow the historic building to inspire delegates at your next conference. We have various spaces on offer including large plenary rooms and small intimate breakout spaces. We provide a variety of day delegate packages as well as tailored menus for functions of any size. Our venue is ideally situated in heart of Parliamentary triangle with ample parking. Tours of the museum are available upon request to enrich your experience here in the iconic building. "The staff on the night couldn’t have been more accommodating and helpful! From arriving to set up, the service through the event and getting everyone to exit the event after it finished." "The team were so helpful and no request was ever to hard or an inconvenience to them. The day and evening run very smoothly and we can't thank them enough for all their hard work and fantastic service! " 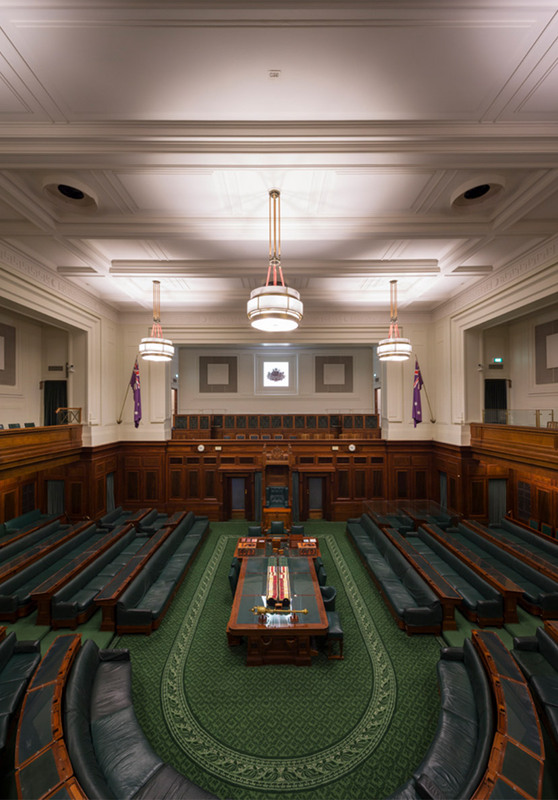 "We were extremely happy with the way our conference was run at Old Parliament House and we look forward to coming back to the venue again in the future."